Claim Your FREE Book Study & Planting Guide! 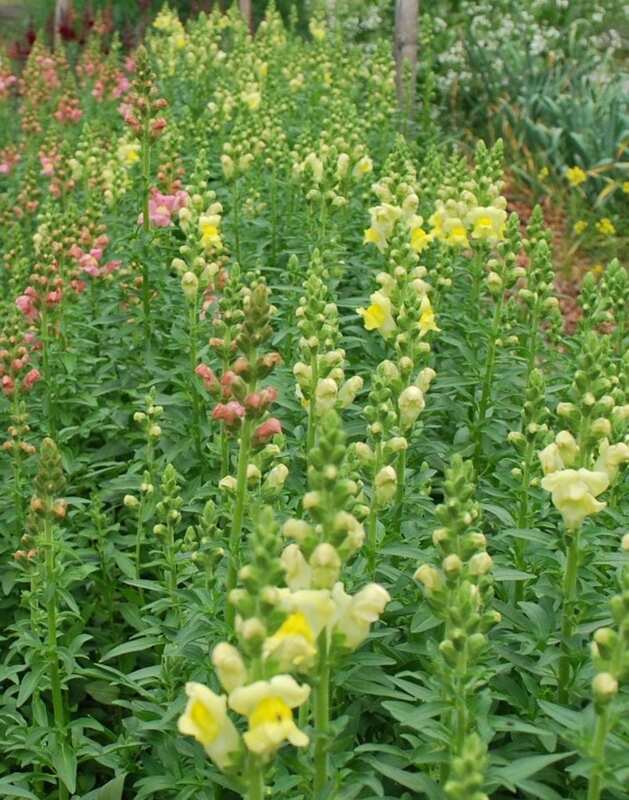 Everyone longs for early, fragrant spring blossoms – Snapdragons, Bells of Ireland, Sweet Peas, Sweet Williams and other beauties. But few grow them successfully in their own gardens because they haven’t learned the simple techniques that make it possible. Expert flower farmer Lisa Mason Ziegler introduces us to 30 of the long-blooming stars of the spring garden: the hardy annuals – those flowers that thrive when they are planted during cool conditions (instead of waiting until the warmth of spring to plant, and losing half the season!). With the author’s simple planting how-to’s, you’ll have a low-maintenance, vibrant spring flower garden that keeps on blooming…and blooming… long before the “tender annuals” get started! Are you a flower farm? Click here. Thank You for the knowledgeable book!I own The Never Ending Flower Farm and am no stranger to growing, but Lisa’s book took my growing to a new level! I live in Zone 7 of Western NC. I was able to start my seedlings in February and plant out in mid-March with great success! I had flowers blooming by Mothers Day. Not only is this book great for new & seasoned gardeners, but it is easy to follow with a wealth of growing tips! This is a great addition to my other gardening books and its a perfect gift for your flower loving friends. This book has heart, how-to and wisdom gleaned from experience. It was organized well, and if anyone wants to grow hardy annuals, this is the go-to source. Thank you* Lisa. Incredibly helpful book! Growing in zone 5b, urban landscape, and Lisa’s book has helped me take some chances on seed that have really worked for me. When I realized what this book contained, I bought another to give as a gift. Not only did it open my eyes to a whole new way of growing flowers, but it had the essential information to be successful and instructions on how to pull it off. It’s a must for anyone embarking on cool season growing. 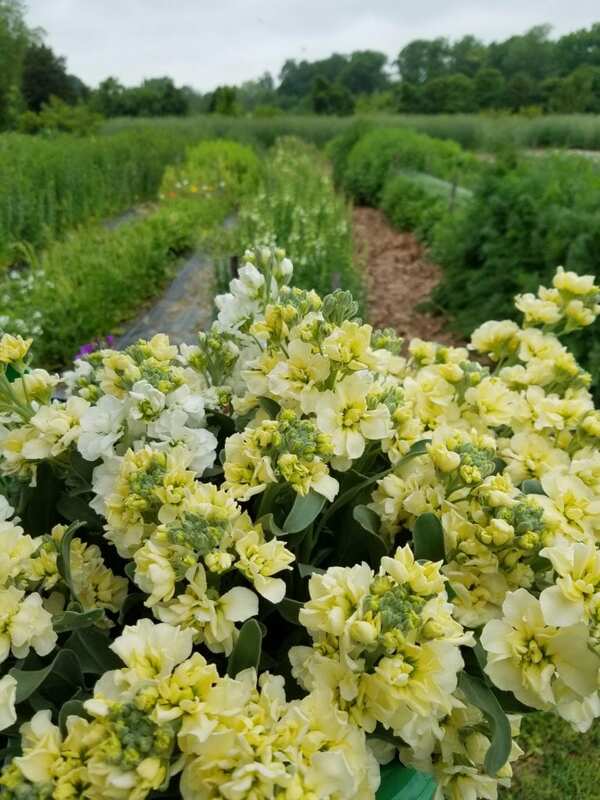 I am new to flower farming, but not new to growing flowers. Having said that, this book has opened my eyes to a whole new world. From extending the season to getting a jumpstart on next season, this book explains it all. The book is clear and concise and a must read for farmers and home gardeners alike. Wonderfully useful book. I have not come across any other book with the same information. Its a book you will use again and again. I am a avid gardener and I find that many books I buy get read then sit on the shelf. This book remains beside my bed. One of the first indispensable books for flower farmers and a book we always come back to for reference. I got this book from a friends recommendation and read parts of it, but then saw the book study sign up and reread it with the weekly video. 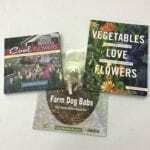 I loved it, there are hints, techniques for growing flowers that will work for growing vegetables and herbs. For me, in Michigan, starting the flowers first thing in the spring will give me blossoms earlier from plants that can grow before the last frost date. I absolutely love Cool Flowers. I have read it through many times and reference it often. 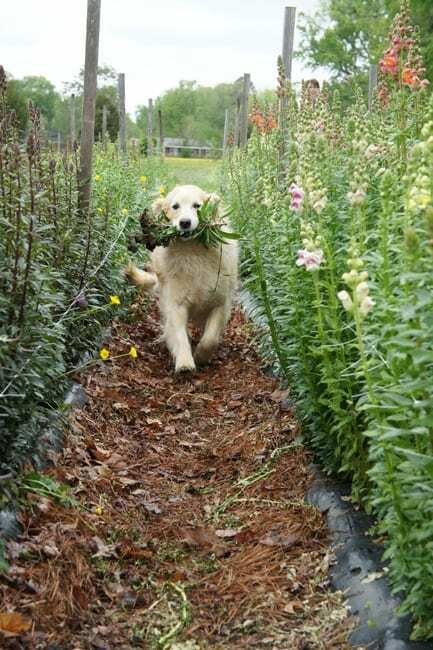 I just recently started my own flower farm business and have used her advise and so looking forward to spring. Purchase the book you will not disappointed. I have immensely enjoyed Cool Flowers and refer to it often as a guide! The book has so much to offer and the information is geared towards all levels. I live in Hawaii and am now able to grow cool weather flowers at an elevation of about 3,000ft. After reading Cool Flowers I realize I can grow these beautiful flowers in the fall and into spring/summer. I am thankful for Lisa and her generosity in sharing this book with us! Plus your videos are awesome too! Aloha! Cool Flowers is a great book. Filled with easy to understand information. It has completely changed the way I view planting. I’m so excited to try out Lisa’s techniques next spring in our short zone 3 (alberta) growing season. After the first read through I really didn’t see how this could benefit me. It took watching her video series and emailing Lisa to see that this way would work for us too. Great book! Loved it from first time through and really enjoying the book study created to go with it. Information given in simple terms that even a non-gardener can grasp. I can totally see me wearing this book out from turning the pages! This book is very clear and concise! It provides wonderful growing information that both the beginner or advanced gardener can learn from. I enjoy all the pictures, helpful tips, and information. I like that I can adapt Lisa’s growing techniques for my zone 5 garden. Highly recommended! Hands down the most comprehensive resource for early spring flowers around! Lisa does a wonderful job providing to the point guidance to set every grower up for success in an easy to follow format. She has opened up a whole new world of flower growing for those first weeks of spring when we are all craving some beautiful blooms. Adding this book to your collection is a wise decision, it won’t ever sit on the shelf long enough to collect dust! Highly recommended!!! This is the best New gardening book I have read in awhile. I am now so enthralled with the concept of Cool Flower gardening that I have gotten most of the flowers mentioned in the book and am trying my hand this winter/spring. I am thinking small, teacher gifts, flowers to the food bank and neighbors. Lisa’s explanations are very easy to understand and I love going to her facebook page to see what is going on at her farm now. This book is a game changer. Last summer I decided to jump in and start a small cut flower operation. I had read about 2 cool season annuals I was planning to start in October-ish and overwinter them under low tunnels. Literally two weeks before I was set to plant my 1 x 50 ft row, Cool Flowers was published. The moment it arrived, my family was neglected for 2 days while I read, re-read and took copious notes from this amazing source of information. 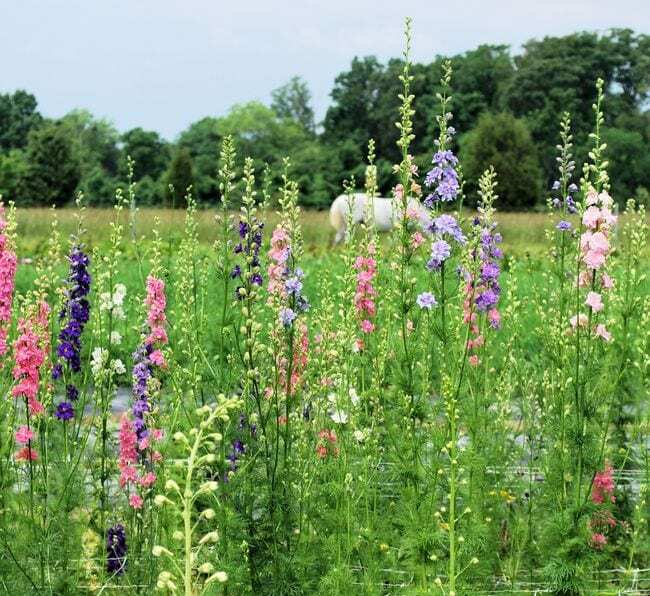 It changed my fall plans to 5 x 50 ft rows, with 8 flower types. (I wanted to do more, but I can get in over my head if I’m not careful…). I worried about these plants all winter, single digit nights, ice, tunnels that kept flying open, you name it. I uncovered the rows 2 days ago and WOW, they look amazing! Lisa obviously knows her stuff, and I’m so excited to have found this group of plants so early in my business. I already plan to add 7 more ‘Cool Flowers’ this fall, and increase how much of what I’m already growing. I would recommend this book to all levels of gardeners. This information is presented in a simple and straightforward manner, and it works. 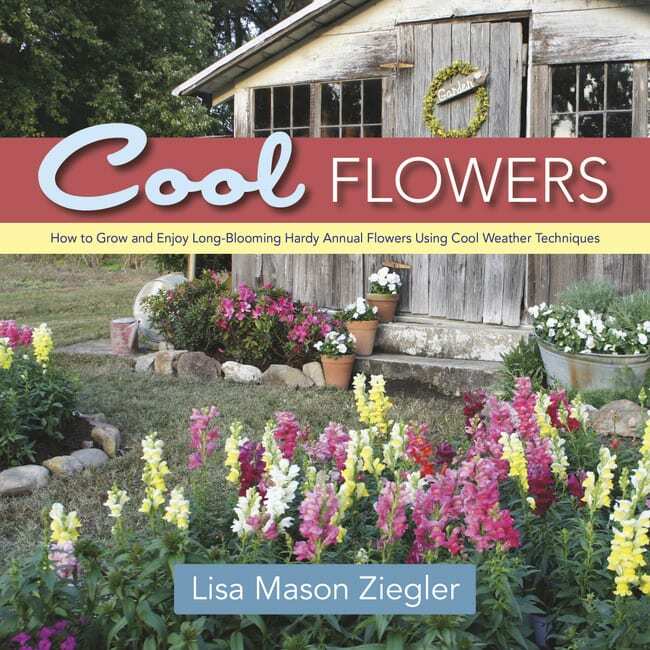 Thank you Lisa Mason Ziegler for making year round flower gardening totally do-able! “Cool Flowers” is an invaluable tool for all growers backyard or commercial, novice or experienced, young or old, green thumb or brown. As a fairly new commercial cut flower grower, I pored over this book cover to cover, and then referred to it time and again when setting up my cool season annual garden. It’s as though Lisa came to our farm and gave explicit instructions on how to do this thing successfully. I can hardly wait until spring when our now lush, green, healthy plants begin to produce beautiful, fragrant, colorful blooms! Thank you, Lisa!